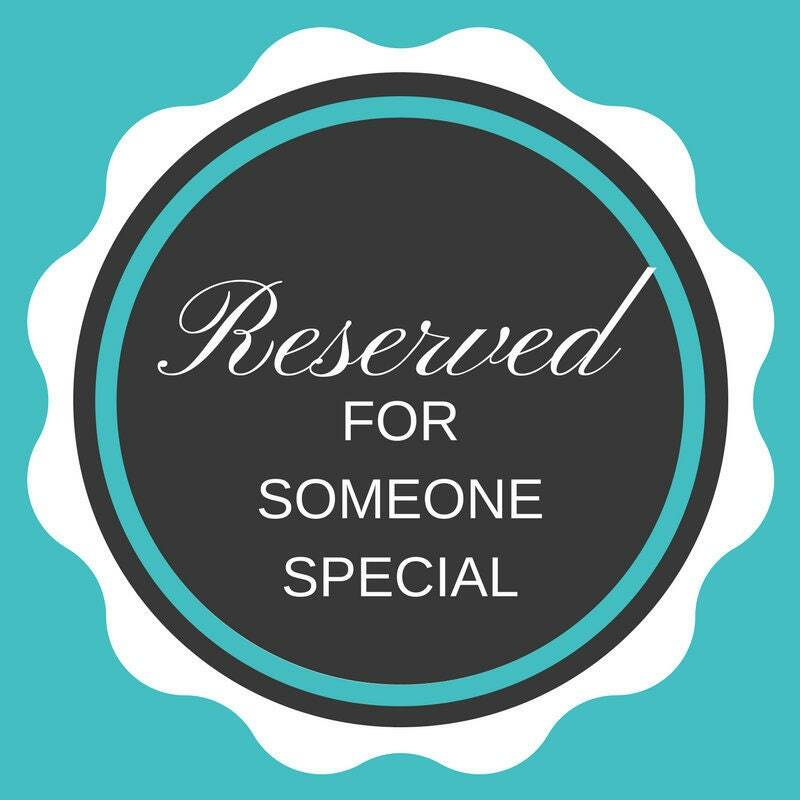 Reserved for Emily - Do Not Purchase. 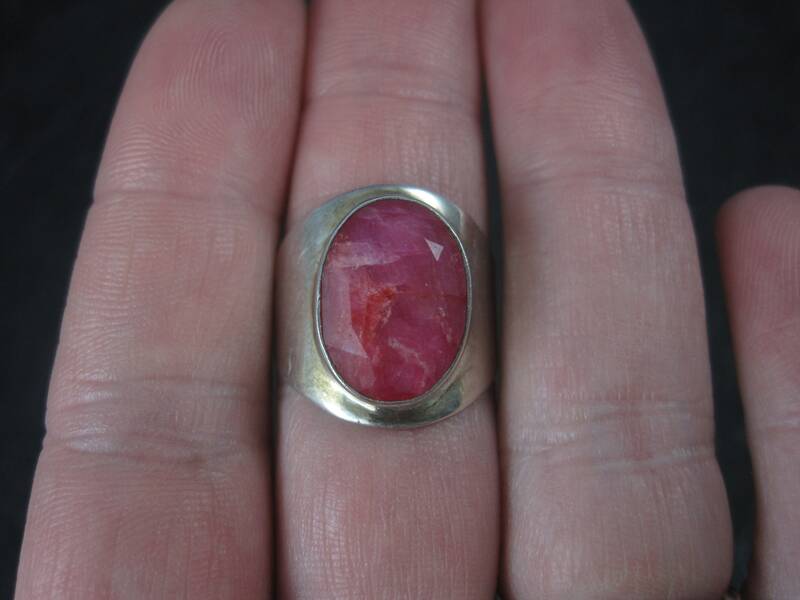 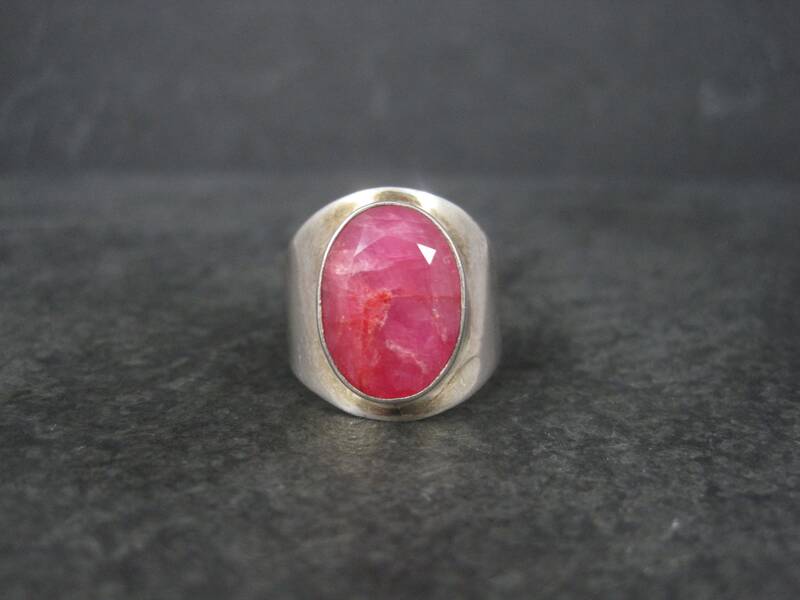 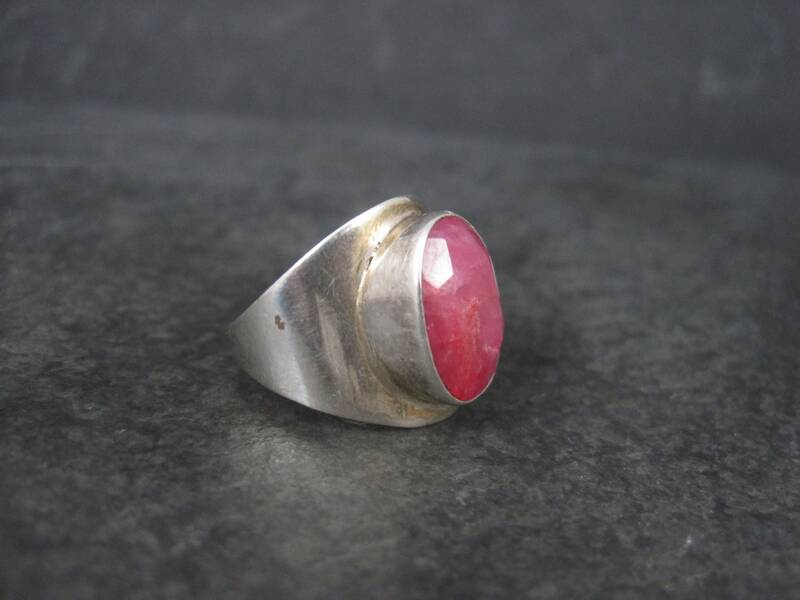 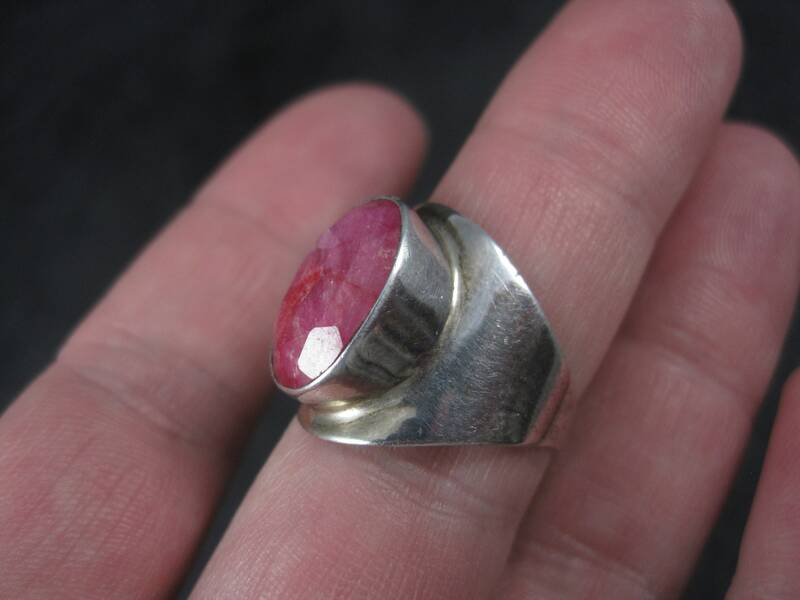 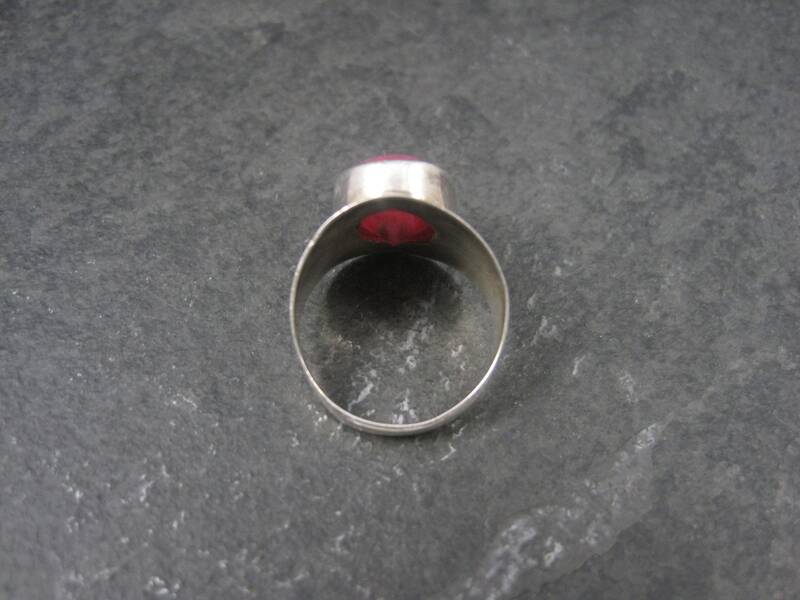 It features an oval cut 10x14mm ruby in its raw, but polished form. 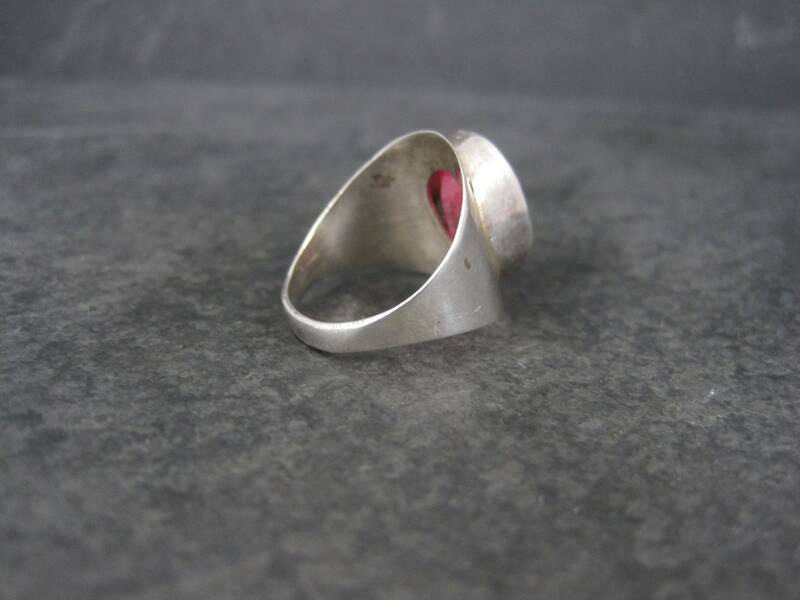 The face of this ring measures 11/16 of an inch north to south with a rise of 7mm off the finger.